Anyway, I wanted to share this post before I left but didn’t quite get round to it [oops] and then Chris put me on a v.v. strict no laptop or devices ban whilst we were away.. haha. I did manage to sneak in a couple of cheeky instagram pics though. So back to today’s post! 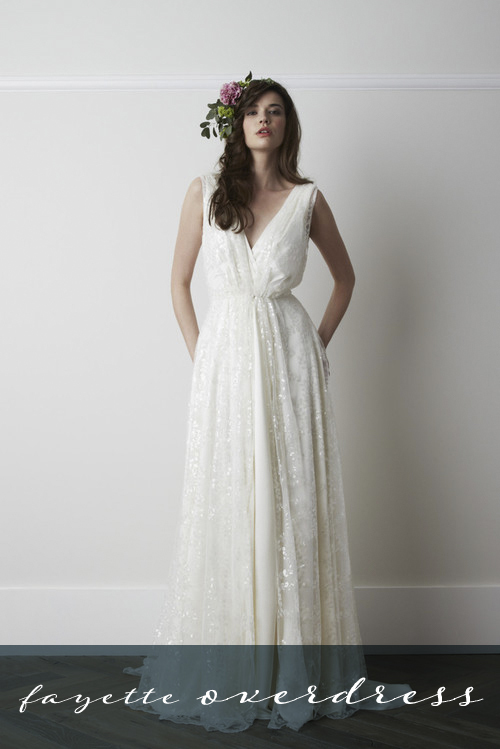 If you haven’t found your wedding dress yet [what yer waiting for girl], then you must have a swoon through the uber gorgeous Charlie Brear Bridal Collection for 2015. 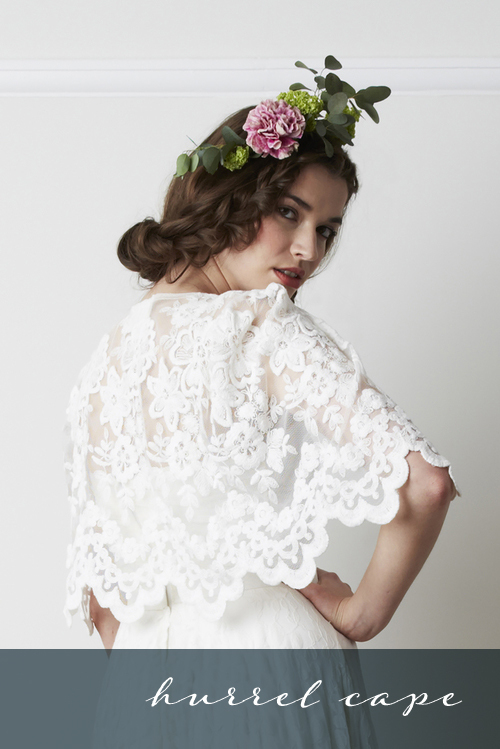 What’s particularly lust-worthy and stylish about this collection is it’s ability to transform to reflect each brides unique style and taste. This is due to the innovative ‘Additions’ element of the collection. 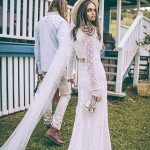 Choose from gorgeous jackets, pretty sparkling overlays, delicate lace sleeves and backs, intricate sashes and belts and fashion forward tassels and you are able to transform your whole bridal look. Me likey. 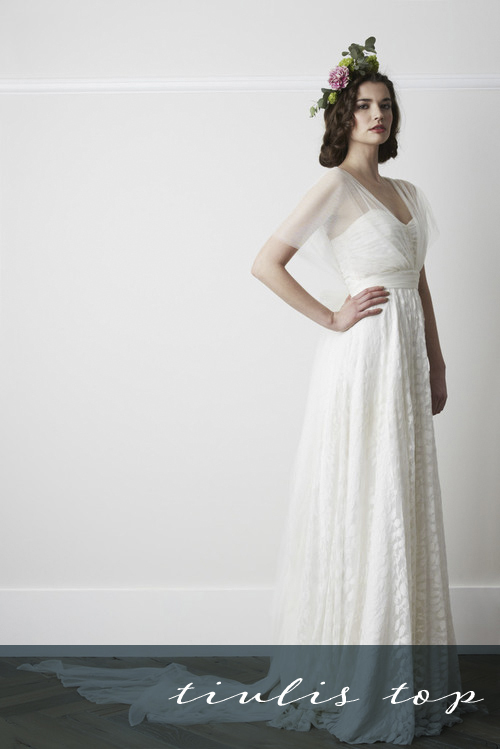 For the 2015 Bridal Collection, Charlie Brear continues to take inspiration from the most iconic decades of style, flawlessly combining them with her own contemporary aesthetic. This season the beautifully cut silhouettes are complimented by the layering of soft tulles, chiffons and lace, with accents of exquisite hand-beading. 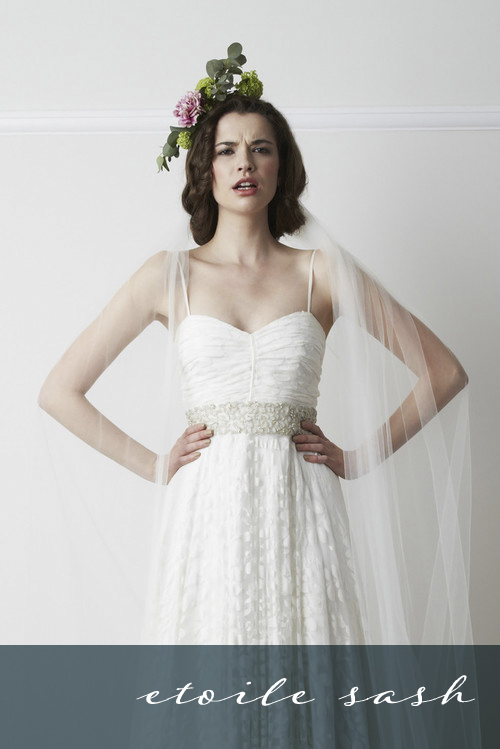 With an expanded selection of additions, each bride has the opportunity to create her own perfect look. 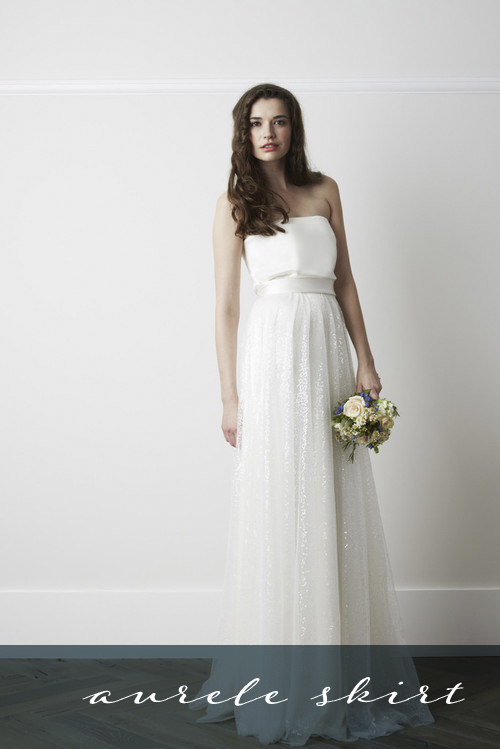 Starting with a simple crepe, satin or chiffon dress and layering everything from sequined overdresses and tiered skirts to washed silk sashes, a bespoke look can effortlessly be created and customised. Combinations of these individually stunning pieces, allow endless possibilities to transform a look throughout the day and night. Standout pieces for 2015 include a hand-beaded pearl neck piece, corded lace separates and a diaphanous, sequin-strewn overskirt. 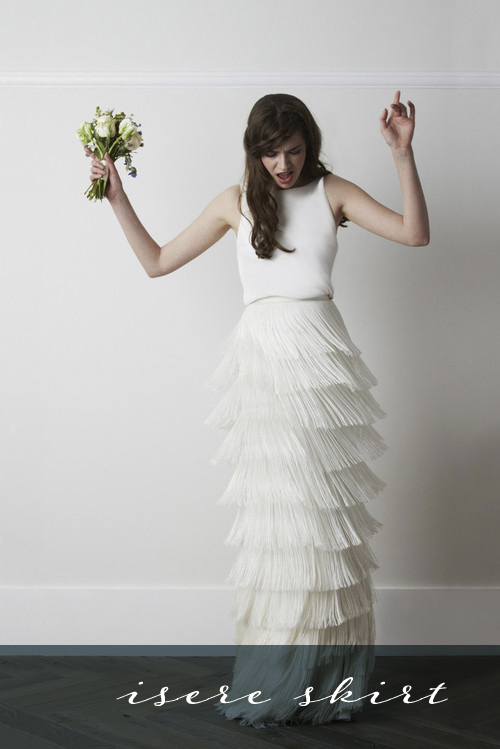 Utterly gorgeous creations from Charlie Brear Bridal, don’t you think? To find your nearest stockist and to view the full collection hop on over to their site.